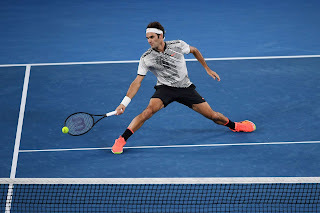 Roger Federer dug in his heels to stop Kei Nishikori on Sunday at the Australian Open, rallying past the fifth seed 6-7(4), 6-4, 6-1, 4-6, 6-3 in three hours and 23 minutes. Federer secured a milestone 200th win over a Top 10 opponent, becoming the first active player to achieve the feat. "It's great," Federer said following his victory over Nishikori. "I didn't know it going in. I just know I played a lot of tennis. I ran a lot. Obviously I want to play really well against the best players. I was able to do that sometimes, but tonight was special, no doubt about it. Going five against Kei here on Rod Laver Arena with the comeback, it's definitely very special. A fitting way to celebrate that milestone." "He played his heart out and I thought he played a great match, I'm happy to be a part of it," said Federer. "He was hanging tough and playing really well on the big points. I was telling myself to stay calm and this is what I trained for in the offseason. This is a big moment for me in my career." The four-time champion exhibited great resolve in fighting back for his 25th career five-set victory. 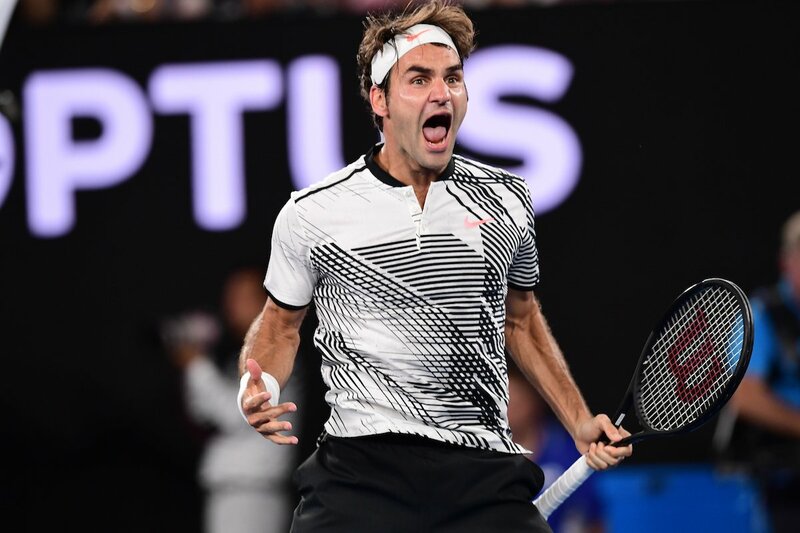 He will feature in the quarter-finals at Melbourne Park for the 13th time in the last 14 years, with a date against Mischa Zverev awaiting on Tuesday. Federer won their previous two ATP Head to Head encounters, most recently on the grass of Halle in 2013. Federer fired a staggering 83 winners, including 24 aces, while converting seven of 18 break chances. But it wasn't all smooth sailing for the 17th seed. Striking the ball with conviction and peppering the Federer backhand early and often, Nishikori burst out of the gates, breaking twice in a row for a 5-1 first-set lead. The Japanese was more aggressive in the initial stages, jumping on Federer's second serve and crashing the net frequently. But the Swiss stayed the course, slowly chipping away at Nishikori's lead and eventually drawing level at 5-all. Nishikori would take the opener in a tie-break, but momentum had swung firmly in his opponent's corner. 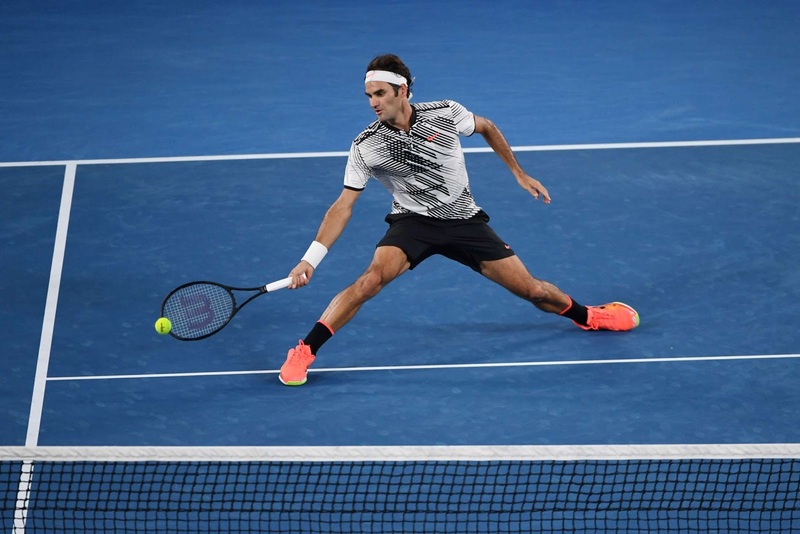 Federer streaked to a two-sets-to-one lead and later snatched a quick break for 2-0 in the decider, after Nishikori sent the match the distance. He would emerge victorious on his first match point with an emphatic overhead smash. "I didn't expect him to play this well from the start and that put me on the back foot for the remainder of the match to some extent," added Federer. "But I was able to wrestle it back in my favour. I got myself into the match and started to play the good sets that I knew I could. The question was could I hang with Kei until the very end. I was able to do that, so I'm super happy. "You have a game plan and he's got a game plan. Sometimes it doesn't match up the right way for you. He was quick out of the blocks. I was accepting it and moving on with it, trying to at least find some sort of a rhythm going into the second set. I was still upbeat about my chances after that first set. I think it gave me something coming back into that set actually." Federer improved to 5-2 against Nishikori in their ATP Head to Head series, meeting for the first time since the Swiss prevailed in their group stage match at the 2015 ATP Finals. The Japanese saw his three-match win streak in five-setters snapped, falling to 14-6 in his career. "I'm really disappointed to lose like this, especially after I started really well," said Nishikori, who exited in the Aussie Open fourth round for the third time in five years. "I missed some chances from 5-2 in the first set and I think I let him come back. He was playing good tennis especially in the middle, the second and third sets. I maybe had some chances in fifth set to come back in the match, but he was way too strong."